The most stressful part of every move is definitely the packing and the actual transfer of your things from your current location to your destination. As excited as you may be to make that big move, you first have to deal with the stressful part of moving. Two of the most common ways to move across the nation is either through hiring professional movers or renting out moving pods to DIY your move. This article presents you with the pros and cons of each option, to help you make the best and most informed choice possible with your move. These professional movers do all the heavy lifting for you so you will no longer have to do these yourself. If you are on the older spectrum of age, or if you have any existing underlying physical problems, it is best for you to hire professional movers instead. Plus, you wouldn’t want to add to the stress of moving only because you have injured yourself while packing up. When you hire professional movers, a portion of the amount you pay them also has to do with the insurance that protects your things. The cost of this insurance is so much cheaper than the price of actually having to buy new belongings, merely because they were exposed to highway dangers such as theft and robberies. If you are the type to have expensive furniture and belongings, the best option for you is to go for professional movers. There is no denying it: moving is and can be very stressful, depending on the timeframe that you are working with, and the number of things in your house that you have to transport. To release yourself from so much stress, go for a professional mover instead. Because they do everything for you, including loading and unloading, all that is left for you to do is to move yourself to your new location. Visit this website to learn more about the advantages of hiring professional movers for your national move. Professional movers do everything regarding your move themselves. Therefore, you have lesser control over your move. You do not really know where they place specific boxes, or how they pack your things. Often, these movers practice what they learn over their years of experience, for example, how best to pack certain types of belongings. However, some of these ways may not be to your liking. If you are the one who likes to have control over your move, then you are better off with DIY moving pods instead. When you choose to rent out moving pods, you are opening yourself up to more flexibility. 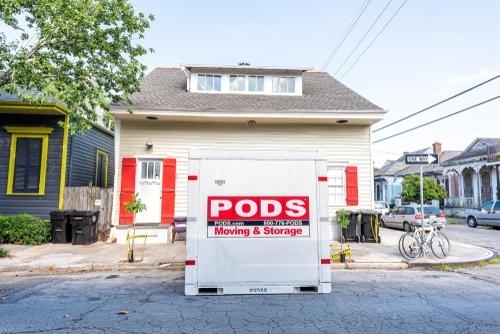 The moving company drops off the pod in your home, gives you the key, and places it on ground level so that you can pack your things with ease. In this manner, you have more flexibility over your time, as you can do this at your own pace while still going about your daily activities. This flexibility comes in handy, especially, for example, if you are already dealing with a lot on your plate, as you are in the process of closing your deal while also preparing yourself and your belongings for the house that you are moving to. Those who have experienced moving find that DIY moving pods end up cheaper than hiring professional movers. The rationale is simple: when you hire professional movers, you are also paying for the salaries of the people who pack and drive for you. When you choose to go for moving pods, because you do a lot of the work yourself, you will have lesser services to pay for. If you are moving on a budget, therefore, the best way for you to go is to do a DIY move instead. Many individuals do not like inviting too many strangers into their home to see their things and to get a hold of their belongings. However, if you choose to go for moving companies, this fact is inevitable, as they do the packing themselves. If you belong to a family who values your privacy or wishes to protect your security, then it is best that you go for moving pods instead. Because you do all the packing yourselves, you wouldn’t have to invite strangers in your home for a particular time frame to pack your belongings. Even if DIY moving pods offer flexibility in your move, this doesn’t change the fact that when you take this route, you will have physical work to do. You will do all the lifting yourself, the packing, and everything else. Hence, there is so much physical work that you have to do. Add up to this the demands of your job and you will only end up even more exhausted than you should be. Moving really can get stressful, and doing it all by yourself can heighten the stress you’re experiencing. Whatever your choice will be depends on your personal preferences, based on this list of pros and cons, and your needs. When you move, all you really want is for you to make the best decision possible to make your move as relaxed and carefree as it can be.